Tell Us Your #MercenaryTales | NIS America, Inc.
Our beta for Grand Kingdom has come to a close, and we want to thank all of you who participated and gave us a chance to make sure there are no online issues when the game releases this June! The beta provided just a small taste of the game's deep storyline and playable classes. In the full release, you'll be able to uncover the history of the fall of the Uldein empire through the eyes of The Guild, and learn much more about what motivates each of the Four Great Nations you'll be fighting for. But now that the beta's over, the fun of the war in Resonail has just begun! While we anxiously await this June, we want to hear your #MercenaryTales about the war in Resonail! We even have a non-canon tale of our own to get your creative juices flowing. This was one of those times when I wondered about my life. Wondered about how I got here. And where even was here? I heard a scout mention we were at the border of Landerth, but that was days ago, and with the way the war's been going, who even knows where the border is anymore? My mother wanted me to be a butcher. My father wanted me to be a merchant. Now I feel like I’m both. Just…not in quite the way they intended. Many of the men whose lives I’ve been paid for fought for something they believed in. Well, so do I. I believe in a cozy little home on a hill, with flowers and fields for me and Jenn. I believe in the money that it will take for us to buy that home once all of this is over. Once one of these blasted lords or ladies manages to end this thing. To unite Resonail. Until then, I’ll squint through the haze of blood and fire and gladly shout the name of whatever lord or lady is filling my purse. This is one of our #MercenaryTales, and we want to hear (see?) yours in whatever form they take! 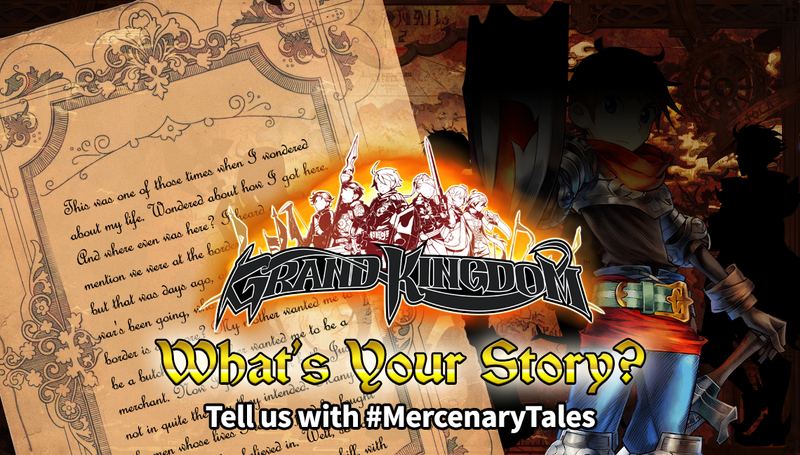 Get creative on Facebook, Twitter, Instagram, or your own blog and share your tales with us using #MercenaryTales! We'll be sharing some of our favorites on our next Twitch stream. If you didn't manage to take part in the beta, be sure to check out our previous stream to get a taste of it! See you on the fields of creativity, dood!